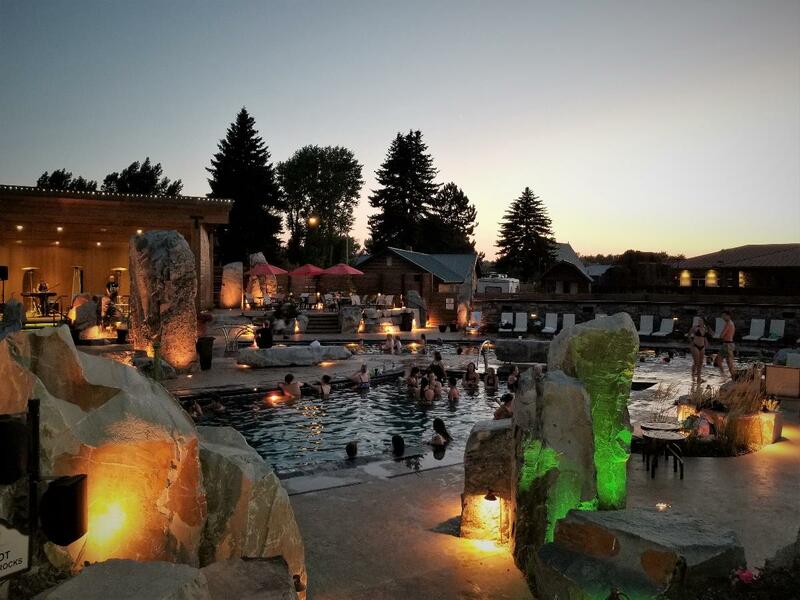 PLEASE NOTE: BOZEMAN HOT SPRINGS WILL BE CLOSED FOR MAINTENANCE ON THE FOLLOWING DATES: JUNE 5, 6 & 7 of 2019 and SEPTEMBER 25, 26 & 27 of 2019. NOTE: WE DO NOT ALLOW LARGE AREA RUGS OR ANY VEHICLES ON OUR GRASS OR ON THE TENT SITES. TENTERS WILL BE REQUIRED TO PARK IN DESIGNATED PARKING AREAS. ADDITIONAL PARKING IS LOCATED NEAR REGISTRATION. WE DO NOT ENCOURAGE RV GUESTS TO PLACE A TENT NEAR THERE RV AND IF YOU DO SO THERE WILL BE A $15.00 SURCHARGE. Located next door to the Bozeman Hot Springs, the Bozeman Campground is the ideal place for visitors to stay. There are RV sites, cabins, and tent sites available — all with numerous activities included. The amenities are plentiful and the memories even more so. Book your stay today! Peak Season May 15th through September 30th includes continental breakfast during your stay. Bozeman Hot Springs swim pass included for the first 2 guests during peak season. Additional Guest(s) surcharges will apply. Low Season October 1st through May 14th reduced RV Sites & Cabin Rates, No Bozeman Hot Springs passes and No continental breakfast during Low Season. You must pay your Hot Springs entry fee at the Bozeman Hot Springs. A Note about our Cabins: Our Cabins are very basic. They do not have bathrooms or kitchens in them and you do need to bring your Sleeping Bag & Pillow. We do have linens to rent if you do not wish to pack your own. Any questions or changes, please, call our office at 1-888-651-5802 or 406-587-3030.